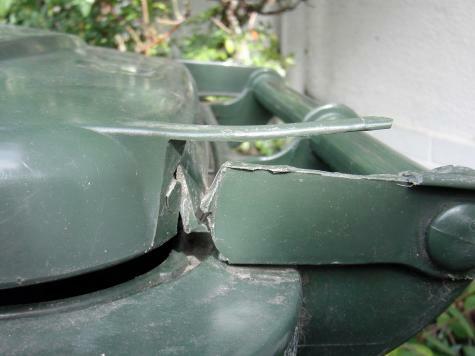 Our wheelie bin broke recently, the plastic hinge holding the lid on had snapped in half. 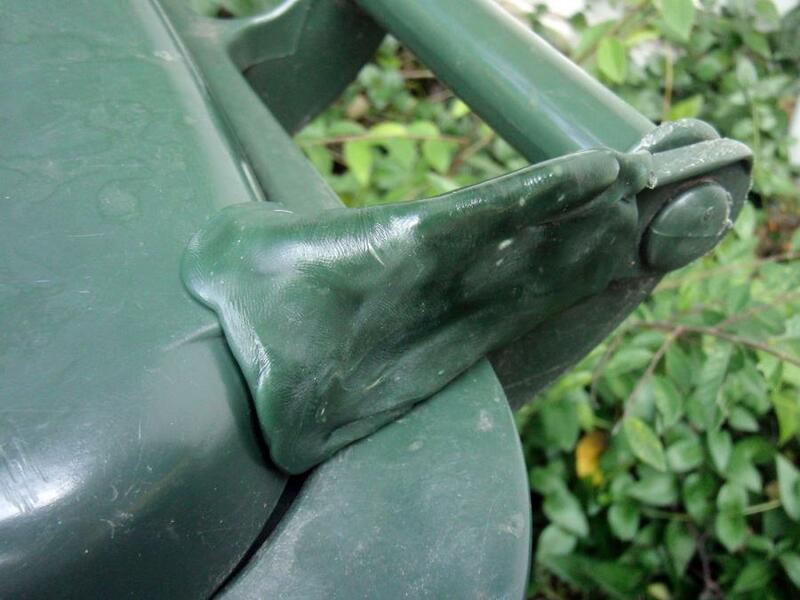 It seemed like a great opportunity to try out a colour-matched Plastimake repair. We added a few drops of black, blue and yellow ink to some warm Plastimake pellets and kneaded it through with our bare hands. We got a bit lucky, the resulting colour from our first try was pretty close to the colour of the wheelie bin! Check out our Colouring page for more information on dyeing Plastimake. The green Plastimake blob was formed around the broken hinge and left to cool. It's now super strong, ready to take many more years of abuse.